It’s taken me a long time to get back into sewing after Christmas. I didn’t touch the machine for two months; it was too hot, my sewing room was too messy, and I had no motivation were among the excuses. Now that the weather has cooled off I’ve been sewing up a storm. This isn’t a finished project, but I’m so pleased with it thus far, that I just had to share. 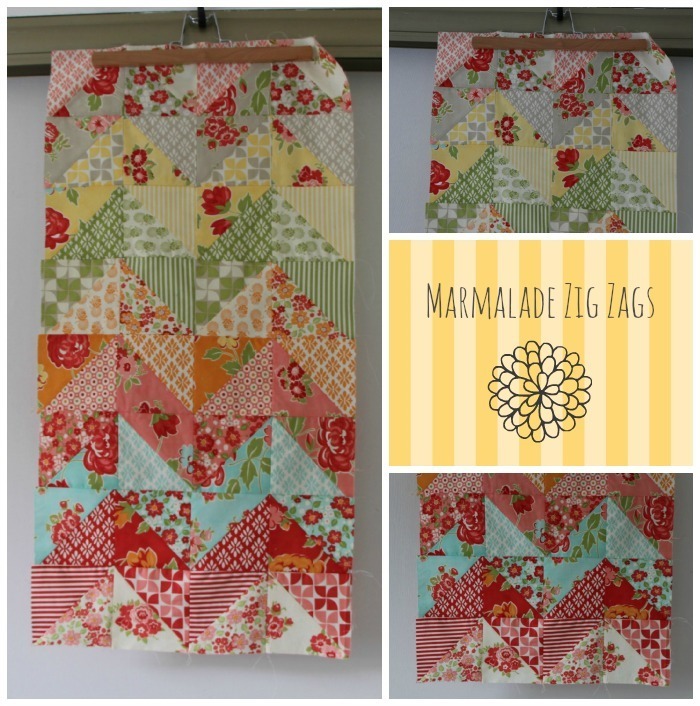 I’ve used one pack of ‘Marmalade’ charm squares by Bonnie and Camille. It’s going to be a runner which I’ll quilt along the zig zags then bind with an off white binding. Now on to something I’m not happy with. This table runner started out really well. I love the fabric which is Hello Pilgrim by Lizzy House. I love the pattern which can be found here at Spool Sewing. What went wrong was sheer laziness on my behalf. First I decided I’d just back it with a piece of cotton so it wouldn’t be too spongy on the table. But in reality the cotton was too thin. Because I just used cotton I didn’t bind it, which wouldn’t be a problem if there was a bit more body to it, but without that body I’ve essentially made a giant napkin. Every time I walk past it I think ‘Urgh!’ What I suspect I’ll end up doing is cutting off the edges, putting a layer of wadding in, and binding it. The quick way is often not the best way! Nice work! 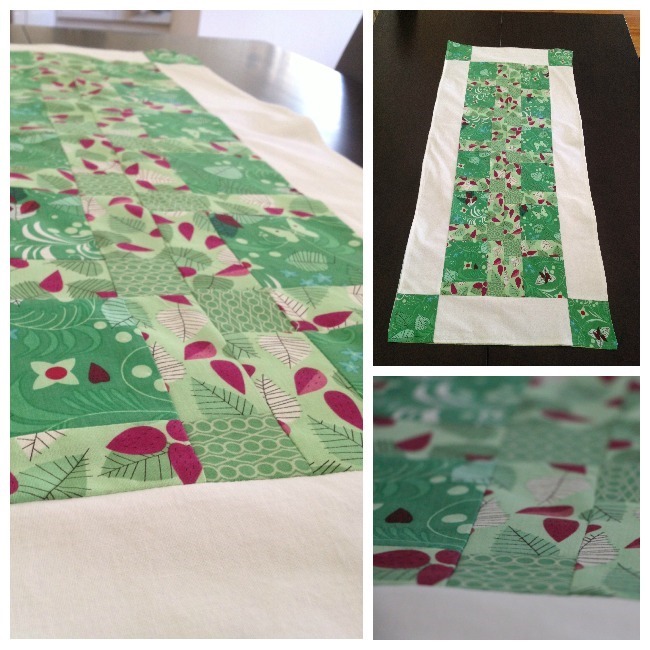 I love the triangle pattern with the Bonnie and Camille fabric so far, it’s just gorgeous! I quite like the Lizzy House fabric runner, but from photos I can’t see the issue you describe :) I like that it’s christmasy colours but not actual pictures of christmas things!